It’s that time of year again. Welcome to March Madness! Other than college football in the fall, this is my favorite time of year to be a sports fan. Today and tomorrow the field of 64 teams will be narrowed down to 32. After the weekend, there will only be 16 teams left. A week later, that number will be down to 4. The Final Four will meet in Atlanta to decide who will be the last remaining team and the champion. The best part of the tournament is the bracket! You have until noon eastern time to get your bracket in. You don’t have to know anything about basketball to fill out a bracket. All you need to be able to do is to pick one team over another. You can do it by who would pick in a mascot fight, which uniform colors you like better, or have your alma mater winning it all. Regardless of your picking strategy, there are sure to be those teams and matchups that will bust your bracket. There may be a Cinderella of this year’s big dance or it could be all the #1 seeds that meet in Atlanta. That is the fun of the tournament; anything can happen! Sally’s Bracket Buster Cocktail is inspired by this year’s Final Four City – Atlanta. 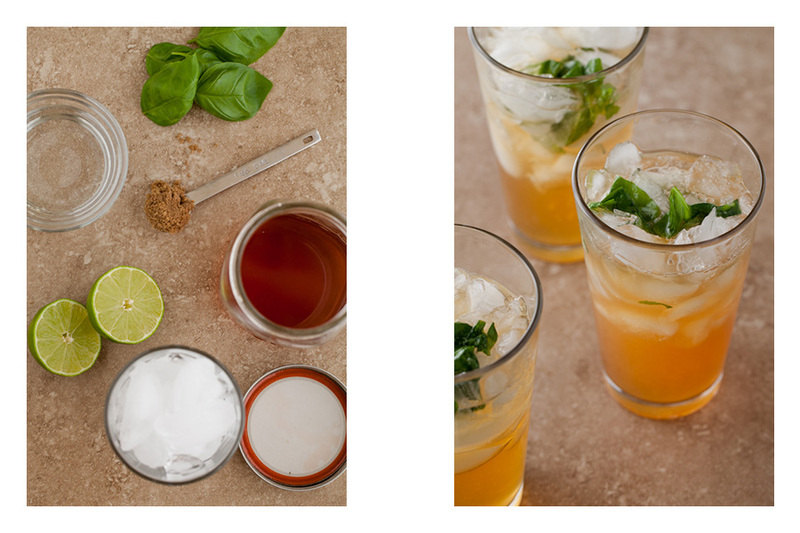 Peach infused bourbon is mixed with a muddle of brown sugar, lime juice, and fresh basil. These ingredients are dumped in a glass full of crushed ice and topped with Sprite. The peach bourbon will take 2 weeks to reach full maturity, so start the process now for it to be ready when the Final Four rolls around. The Bracket Buster will be there to celebrate with you and your team being in Atlanta, or to cheer you up when your bracket is busted. 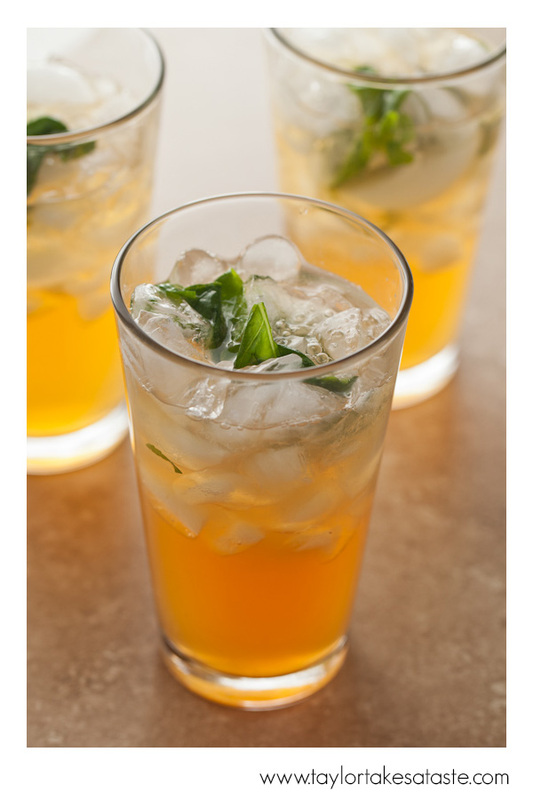 In a tall glass, add basil, sugar, and lime juice. Muddle ingredients together with a muddler or long wooden spoon for 30 seconds. Add bourbon and stir. Add Sprite. Pour over a tall glass filled with crushed ice. Enjoy. For this drink you will need peach infused bourbon. It takes 2 weeks for this bourbon to fully infuse, so start soon for your drink to be ready for the Final Four. Add the ingredients to a mason jar. Seal the jar and shake, mixing ingredients together. Keep in a shaded areas for 2 weeks. Strain out fruit and return infused bourbon to the mason jar.